Firstly, it is important to consider the hairstyle you would like to have. 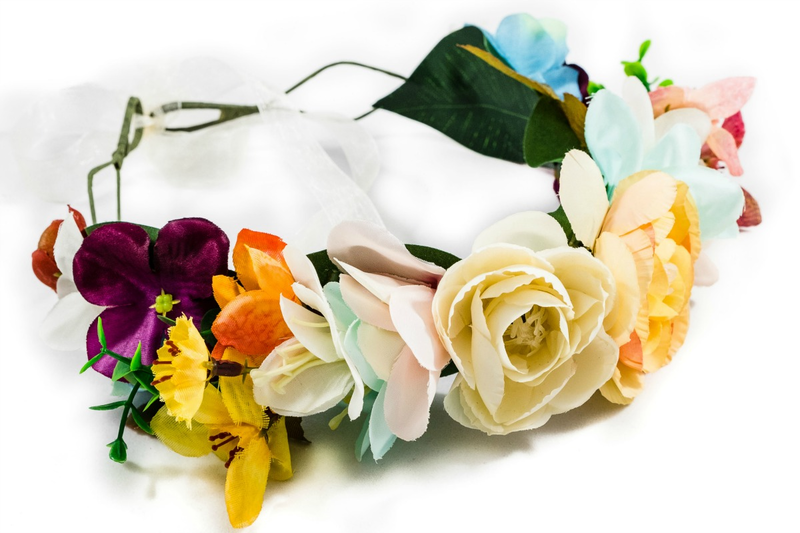 Flower crowns work best with hair down, as they are easier to place on a simple hairstyle. Floral headpieces will also work with hair half up half down. 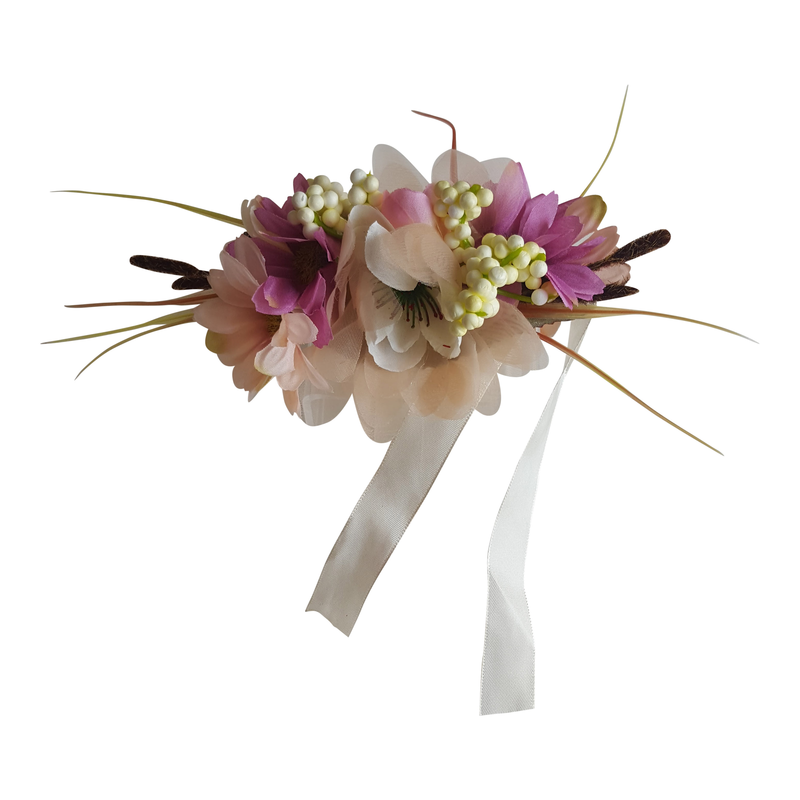 There is nothing cuter than a plaited wedding hairstyle, which incorporates a beautiful floral headband. 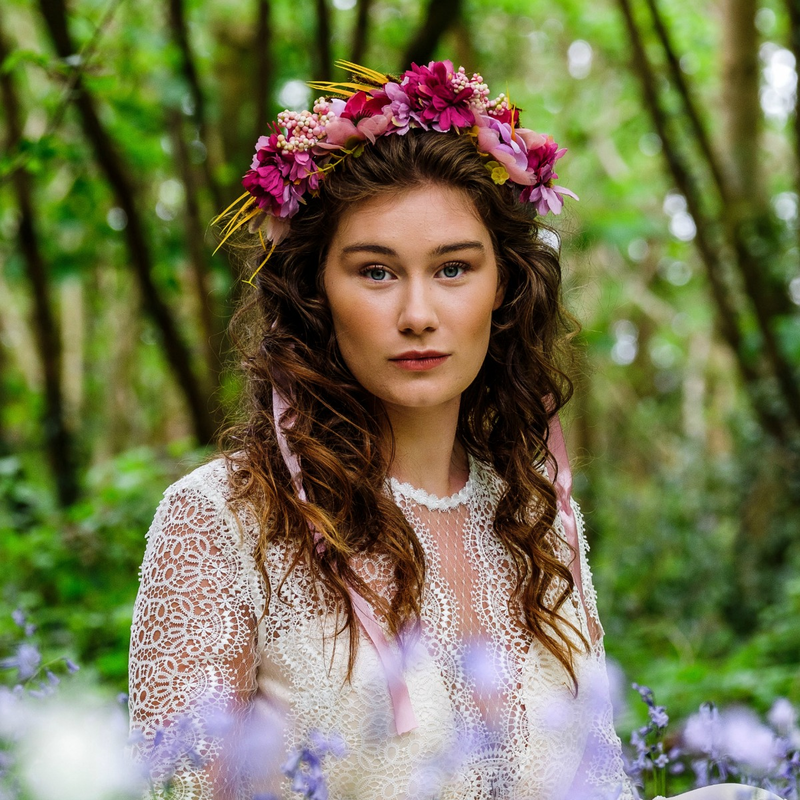 Our beautiful model is wearing the Fabia Purple Flower Crown and the in this stunning picture, in our latest photoshoot at Llanerch Vineyard. Flower crowns are perfect for certain wedding themes, particularly if vintage, rustic or boho are some of your favourite looks. 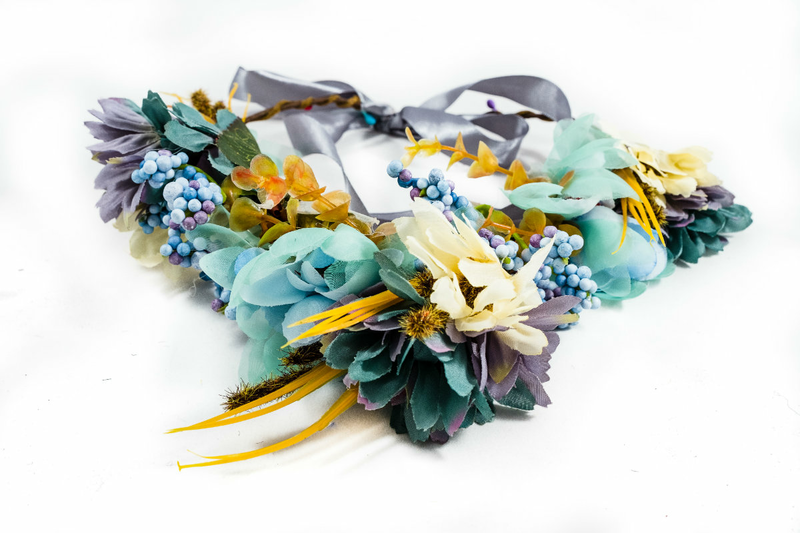 Take a look at some of the wedding hair accessories in our Boho Bride Collection. We featured a Flower Crown hairstyle in our Live Video this week, you can watch the video below, we hope it helps you. 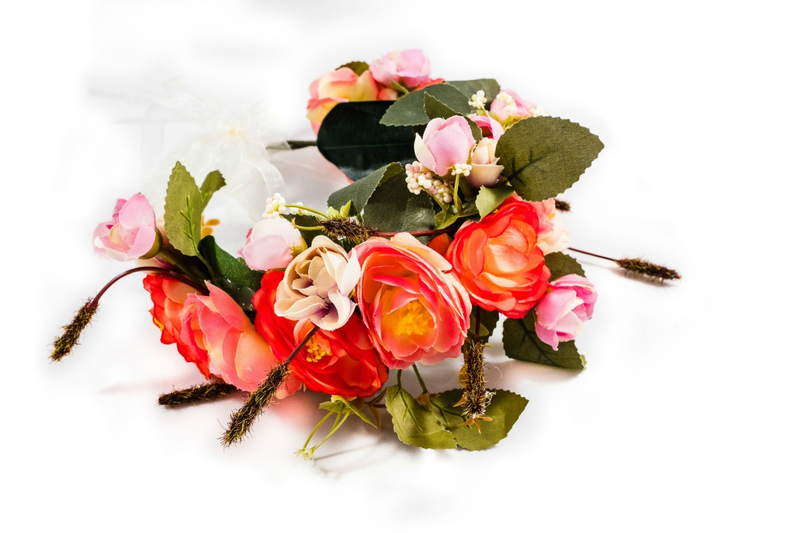 We covered all aspects of hairstyles, and how to choose wedding themes that will work with flower crowns. 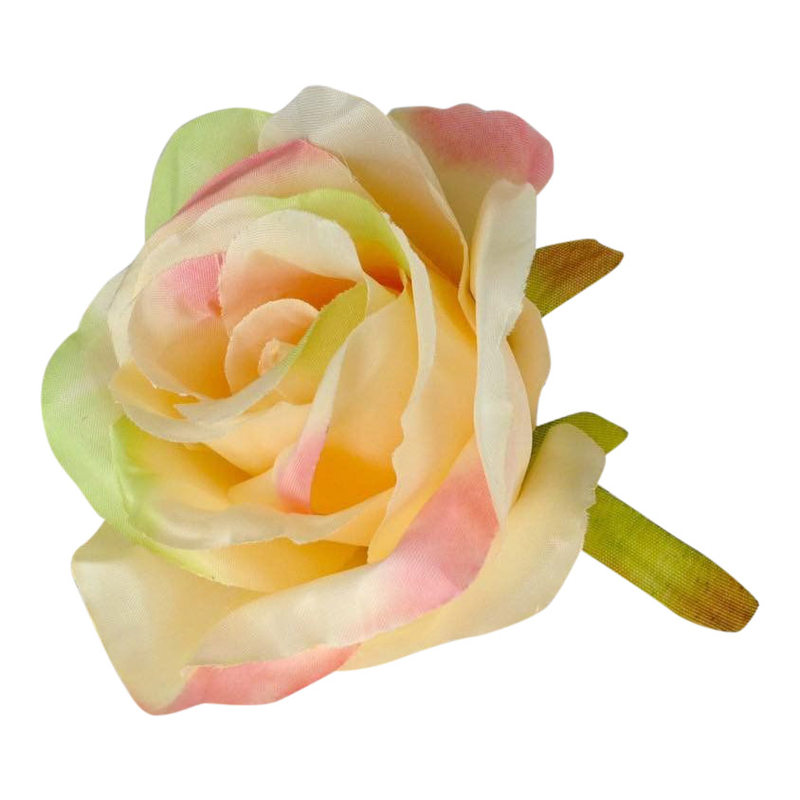 Also how to choose colours for your floral headpieces, as they come in such a wide variety of colours, particularly if you are choosing flower crowns for your bridesmaids. 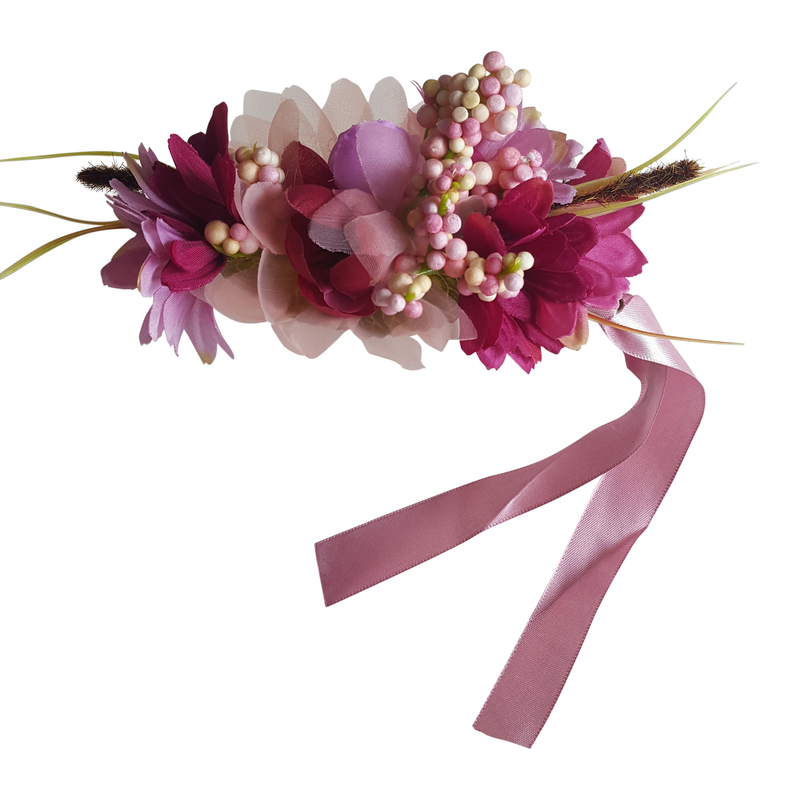 If you find that wearing a full flower crown is too much for you, you could opt for the smaller flower fascinators that we have recently added to the collection. These start from only £5.99, and are perfect for wearing at the back of the hair, particularly with a hair half up half down style. 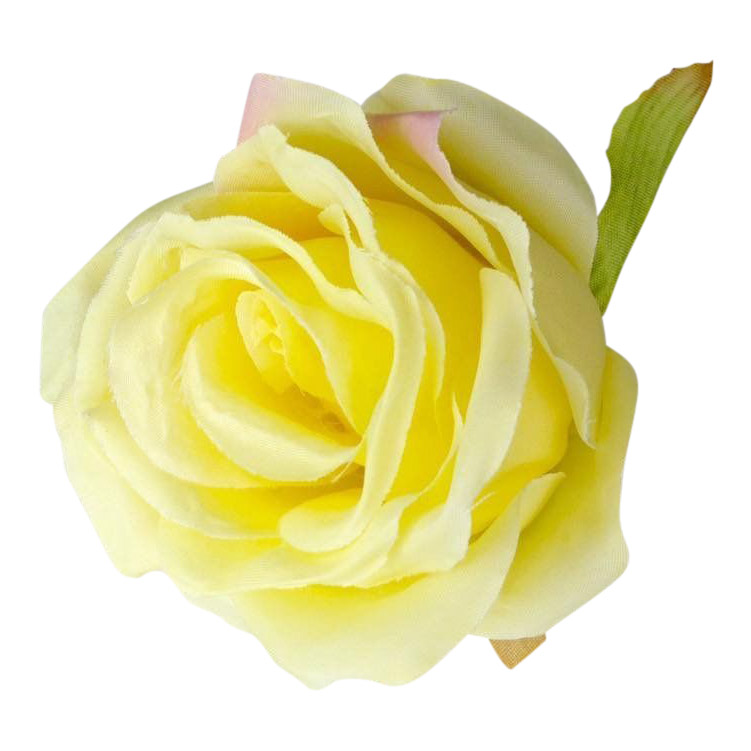 Alternatively a single hair flower can provide a perfect solution, if you would like to have a more simple elegant wedding hairstyle in mind. 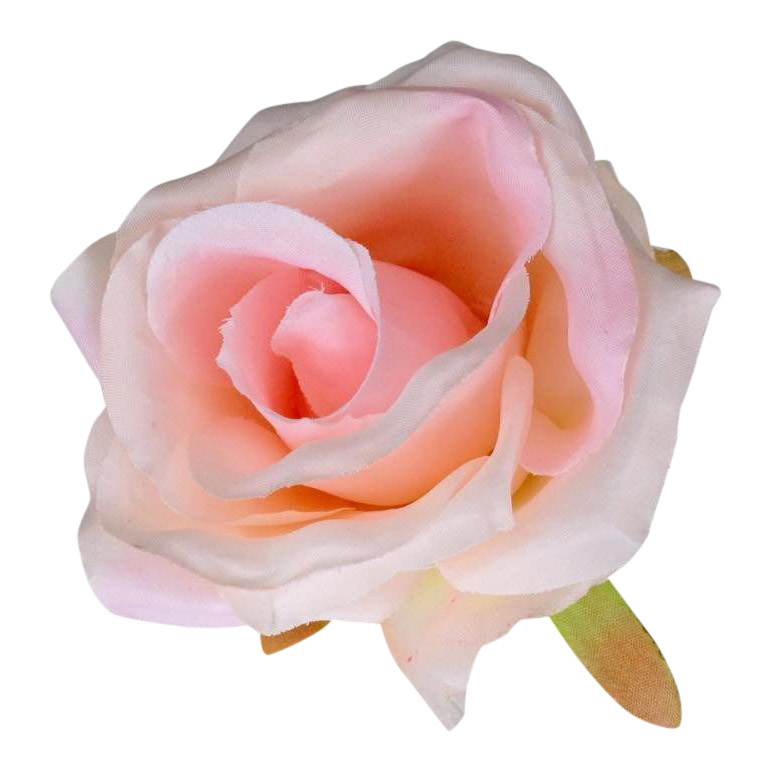 We sell a range of wedding hair flowers, large and small from £2.99.